Chunky platform heels can't be missed! See-through blouse with big canvas bag. It can be a comfy yet stylish look wearing with Oxford shoes! 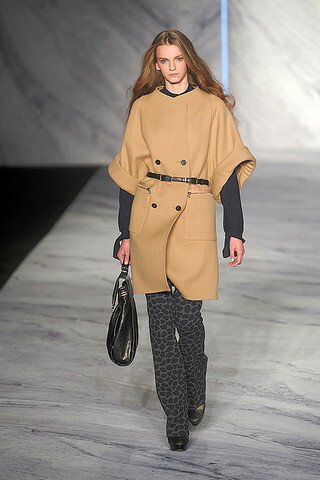 from 2010 fall 3.1 Phillip Lim for this fall/winter!